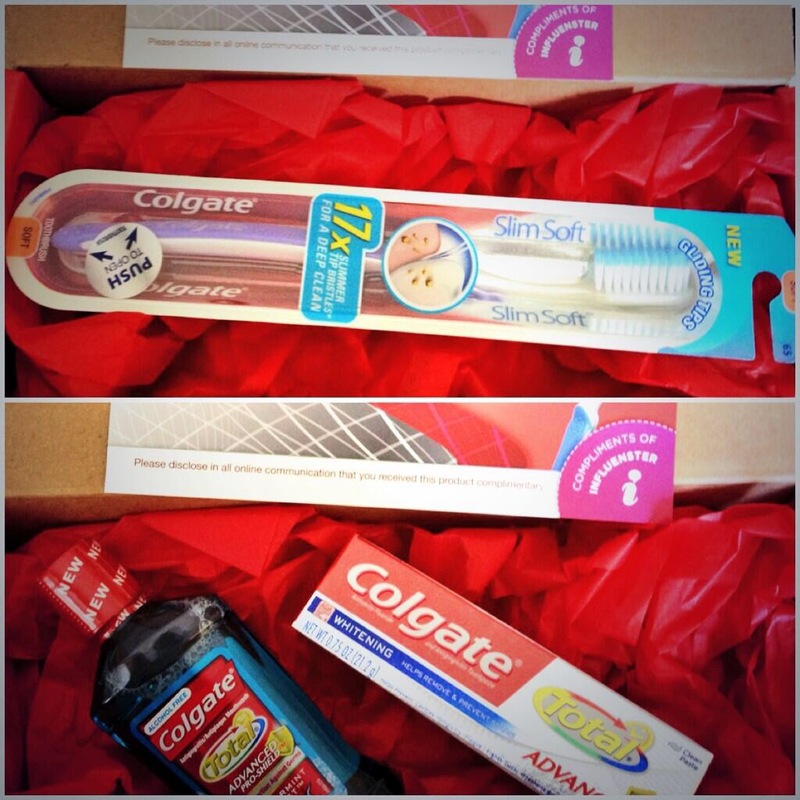 Compliments of Influenster, I recieved a box containing a Colgate Slim Soft toothbrush, Colgate Total Advanced whitening toothpaste, and Colgate Total Advanced Pro-Shield mouthwash in peppermint blast. As soon as I opened up the package, I threw away my old brush and put the Slim Soft in its new home. Watch my Vine video on the transition by clicking here. The Slim Soft toothbrush is unique in that it's bristles are 17x smaller at the tip than usual. The first time I went to brush with the Slim Soft, it felt amazing! It was too soon to judge since it had that new toothbrush feel. After about two weeks of using the toothbrush at least twice a day, I've come to the conclusion that it truly is a great product. You can feel the smaller bristles really getting into the nitty-gritty, whereas my old toothbrush was very stiff. I've been using the toothpaste and mouthwash in my daily routine, as well. I really enjoy the taste of both products. The toothpaste does not show that it is a certain flavor, but it's minty and lingered in my mouth for quite some time. I'm all about keeping my pearly whites as white as possible, so I really like that the toothpaste helped brighten my teeth. The mouthwash was peppermint blast and really felt like it was protecting my mouth for hours. Overall, my first Influenster VoxBox was a success. I honestly was pleased with every single product and will be looking for them at the store once I need to restock. Toothbrush fun: With the product being a toothbrush, I couldn't help but think of the scene in GREASE and continue to say "Brusha brusha brusha....". Watch my Vine video being goofy with the Slim Soft brush here.